A legendary Japanese distillery, its whiskies are the super stars in the auction houses. It was established in 1955 at a vineyard of Karuizawa and named thereof. Karuizawa somehow looks like an Artisan whisky maker. It used small pot stills, Golden Promise barley and fine Sherry casks. The outcome is high production cost but low yield. All these elements are successful factors to make a premium whisky nowadays but not at that time. The market was dominated by inexpensive blended whiskies and not ready to accept such a premium Japanese malt whisky. 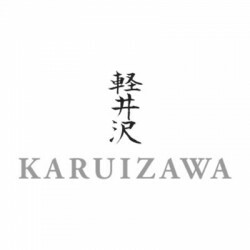 Karuizawa was stopped production in 2000 and completed closed in 2011. It is a blended whisky from Karuizawa and Kawasaki bottled in 1970s and being forgotten for a long t..
Karuizawa 35 Year Old Cask 1977 Geisha 4010..
輕井澤 Karuizawa 17~31 Year Old..
輕井澤 Karuizawa 17 Year Old Hanshin Tigers..
輕井澤 Karuizawa 15 Year Old Sherry Cask..
輕井澤 Karuizawa 15 Year Old 100% Malt Whisky..
輕井澤 Karuizawa 15 Year Old..
輕井澤 Karuizawa Spirit of Asama..
Karuizawa Asama 13 Year Old 1999&2000..
Karuizawa 30 Year Old 1984 Samurai Cask 7963..
Karuizawa 30 Year Old 1984 Samurai Cask 7857..
Karuizawa 30 Year Old 1981 Geisha Cask 6256..
Karuizawa 28 Year Old 1984 First-fill Sherry Cask 4021..